Courtesy of Coldwell Banker Tri-Counties R, Margarita Spradling. Gorgeous 2 story home with 4 bedroom, 3.5 bathrooms. This home has multiple upgrades throughout, including stainless steel appliances, upgraded cabinets and flooring. This beautiful home is turn key and move in ready! Home is almost brand new , built it 2016, extremely well maintianed. The grand kitchen has granite counter tops, large center island, walk in pantry, family dining area and private office nook. Located in the upscale community of Serrano Ranch near schools, parks and shopping. 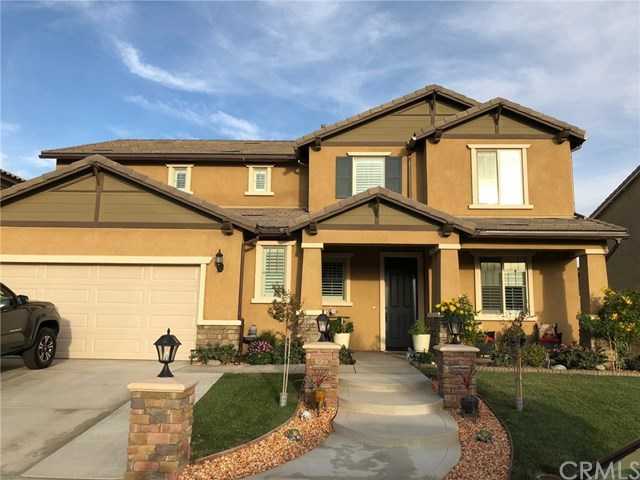 Please, send me more information on this property: MLS# TR19083333 – $609,999 – 4816 Magnum Way, Jurupa Valley, CA 91752. I would like to schedule a private showing for this property: MLS# TR19083333 – $609,999 – 4816 Magnum Way, Jurupa Valley, CA 91752.